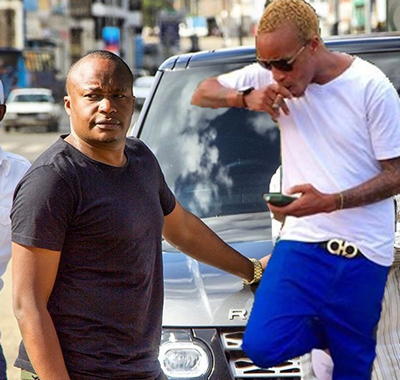 Jaguar has picked war with Akothee and he used Prezzo as the whip to flog Kenya’s richest singer. It’s obvious Jaguar looks down on Akothee, the way he degraded her on live radio was a clear indication he has no respect for her. Jaguar was on Kiss FM to discuss his latest collabo with South Africa’s Mafikizolo and the ‘Prezzo’ topic popped up during the discussion. Shaffie asked him what he thought of his fans’ request to drop a song with Prezzo, his longtime archenemy. Jaguar said he was ready to work with Prezzo as long as he stops being a socialite, he further said the ‘My City My Town’ rapper was the male version of Akothee. “Unajua kudeal na huyu msee… I don’t know why kwa nini ananichukia hivyo. What I did when I was starting I told him yani… kuna watu walikua wamechukua industry ni kama ni yao like sisi watu wakutoka Eastlando we can’t enter. So what I did I told them unawezatoka uko Eastlands walikua wanaona chini na uwapite ata kama ni mababi.